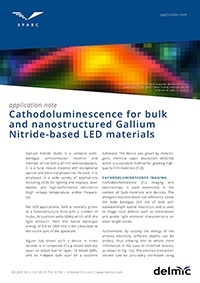 Cathodoluminescence imaging and spectroscopy is used extensively to study GaN materials and devices. To learn more, read this application note. Please submit your information using the form to the right. After submitting your information, you will be redirected to another page with a link to the PDF file.